LinkedIn ProFinder program is designed to help freelance and independent marketers find new clients by meeting the qualifications. LinkedIn members interested in the freelancer’s services will make a request for services they need. Once LinkedIn’s algorithm finds a request that matches the expertise, an email with a proposal request will be sent out for services. Profinders goal is to get the person requesting services up to five responses from highly qualified, local professionals within 48 hours of request submission. Responses need to be timely and professional with a competitive price range for the service requested. The range may change once more details are communicated on the project. The initial response will serve as a reference for the base of the cost of services. 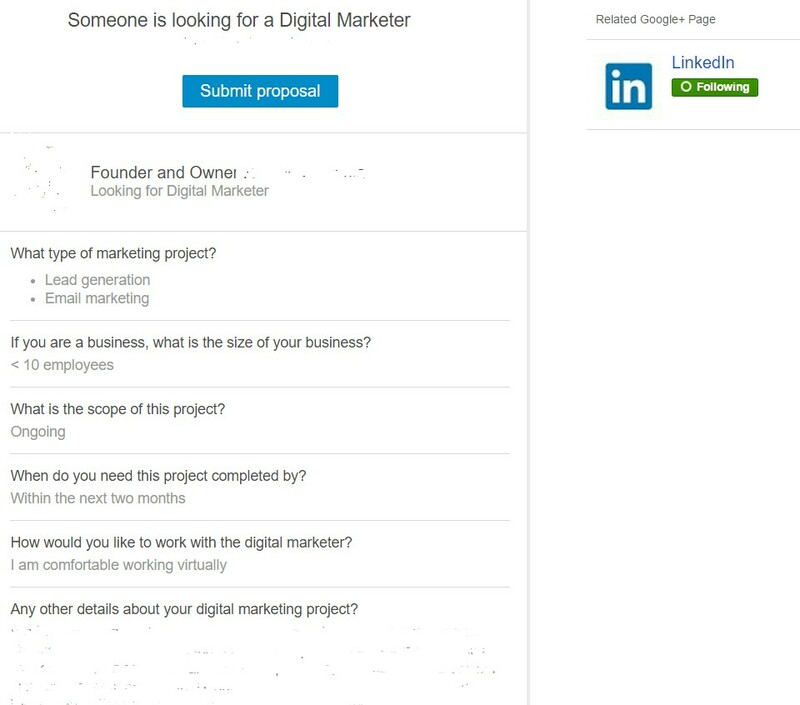 Once the proposal is submitted, it will be shared and linked to your LinkedIn ProFinder profile. Include next steps in your response, such as scheduling a phone call or an in person meeting. Any questions for the potential customer should also be included in the response. Before hitting send, reread your message paying additional attention to spelling and grammar. It is recommended to use spell check to double check. The client may be evaluating up to 5 offers, so make sure your response stands out and reevaluate and adjust your profile periodically. This entry was posted in Blog Posts and tagged LinkedIn, Social Media by MonicaMUNDU. Bookmark the permalink.